The week-long campaigning period for this year’s Associated Students Elections officially began Sunday night after the ballot gained the A.S. Senate’s approval over the weekend, making candidates now free to post their billboards along campus sidewalks and bike paths. The elections ballot is now awaiting approval from the UC Office of the President General Council, and voting for A.S. candidates — as well as five new quarterly student fees and numerous fee reaffirmations — will begin next week. This week, the last of the A.S. Elections forums will take place in the UCen Hub, as candidates for the offices of A.S. External Vice President of Statewide Affairs, President, Student Advocate General and other senatorial positions face-off in daytime debates. This year is different from years past in that A.S. elections candidates could not publicly and officially request that students vote for them at last week’s debates, as the “active campaigning” period had not yet begun in the first week of debates. However, student candidates were allowed to affiliate themselves with their given political party and are now allowed to request student votes in this week’s line of debates. According to A.S. Elections Committee Adviser Ruth Garcia-Guevara, election forums kicked off before campaign week in order to allow candidates more time to focus on campaign efforts that began on Sunday evening. “Basically for the forums, the schedule just kind of works out that way because we want to give candidates the maximum amount of time where they do actual campaigns during election week, instead of having them worry about their forums,” Garcia-Guevara said. A.S. Elections Committee chair Hannah Yen said the changes made this year for the recruitment period allowed candidates to state their party name and designate recruitment times and locations sooner in the elections process. A.S. made changes to the A.S. Elections Code to allow for these modifications to recruitment time periods and campaigning rules, according to Yen, because this would make the elections process more accessible and clear to all students. Sawyeh Maghsoodloo, third-year political science major and OPP Chair, said changes to the recruitment period will now allow parties to more effectively reach out to the student body. Maghsoodloo said previous rules, which did not allow students to express their affiliation with a certain party, were problematic in making elections seem open to the general student body. Yen said student voter turnout is important since A.S. election results affect all students, A.S. election fees are funded directly by student money and A.S. offices make decisions that affect a large portion of students. 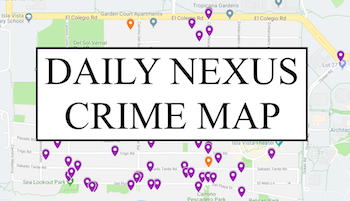 A version of this article appeared on page 1 of April 16th, 2013’s print edition of the Daily Nexus. 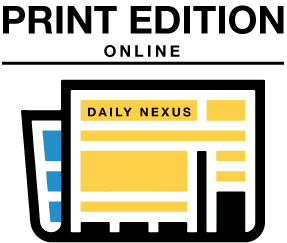 Photo by William Zhou of the Daily Nexus. OPP and DP Party have erected message boards along campus stating the office they are running for. I would like to know which AS members in the senate sponsored the Israel boycott motion. I can’t seem to find a record even though a previous DN article says the vote was close to half for and against.